Seek out the * for today’s advice. Moore’s passion for singing and the stage can be traced back to Park Maitland School, where she attended from kindergarten through sixth grade in the late 1980s and early 1990s. She lived in Longwood with her family but attended the Maitland school because it had a reputation for supporting children and their natural talents — especially in the arts. *Regardless of what your relationship status is, take this advice from Mandy Moore and leave your ex and your partner’s ex alone. Kenny “Babyface” Edmonds is one of a kind. Aside from his own hit singles and albums over the years, he helped mold many of the industry’s best R&B and soul artists for the last few decades. *Sit back, relax, and listen to the soul soothing music of Babyface. And when can I see you again? A lot has changed since Oakland Raiders Coach John Madden spent time on trains drawing up plays with EA (EA) founder Trip Hawkins in 1988. But one thing has remained consistent: The football franchise is still a perennial bestseller for the game publisher. “Madden is instrumental for EA in the sense that this is relatively easy money,” said Peter Warman, founder of video game research firm Newzoo, who noted that the Madden games sell well on mobile platforms. But that success does come with a price. EA pays the National Football League and NFL Players Association $50 million to be the exclusive video game licensee, and the company pays John Madden an additional $2 million for the rights to his name. *Playing Madden could be your entertainment for the day, but realize how much money John Madden has made from lending his name to this video game franchise. He built up his identity as a successful coach and color commentator first. To be a brand you have to create the brand. 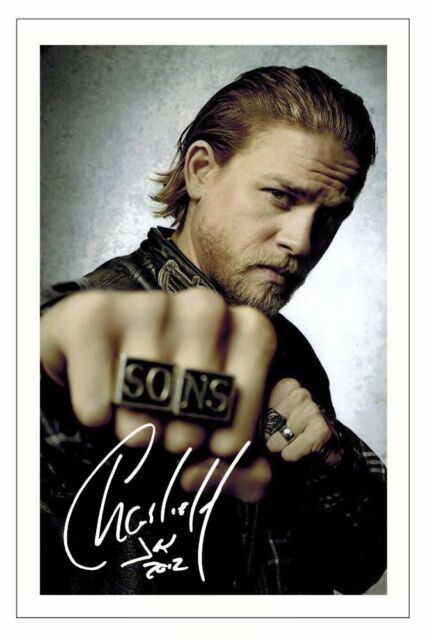 *Watch Charlie Hunnam as the conflicted capo in Sons of Anarchy. For breakfast: A smoothie with 1 scoop of protein powder, a big handful of spinach, 1 frozen banana, 1/2 cup of almond milk, 1 tsp. powdered peanut butter, 1 tsp. ground flax, water and ice. Snack: 2 mashed hard boiled eggs with chili oil, salt and pepper. Lunch: A huge salad (preferably from a restaurant called Sweetgreen’s) that has organic baby carrots, spinach, shredded kale, spicy broccoli, raw beets, bean sprouts, spicy quinoa, roasted sesame tofu, hot sauce, and carrot chili vinaigrette. If you can’t tell, Shay loves spicy food which definitely revs up her metabolism! Dinner: Baked salmon with a side of asparagus. *Eat like this Pretty Little Liar, all day today.